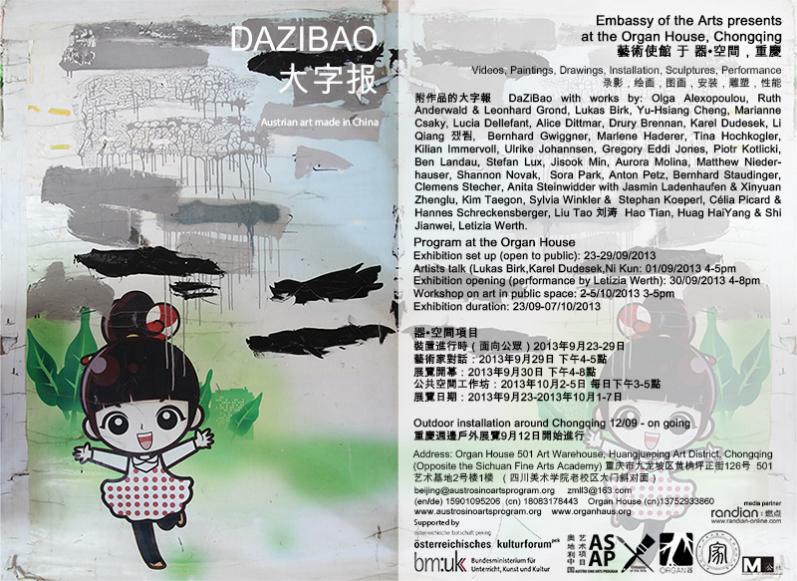 The encyclopaedia of Austrian Art Made in China continues. 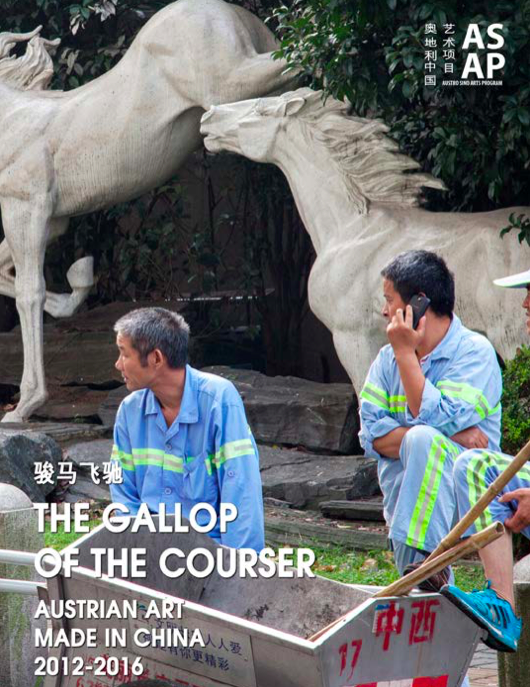 The Gallop of the courser now available online - bilingual. 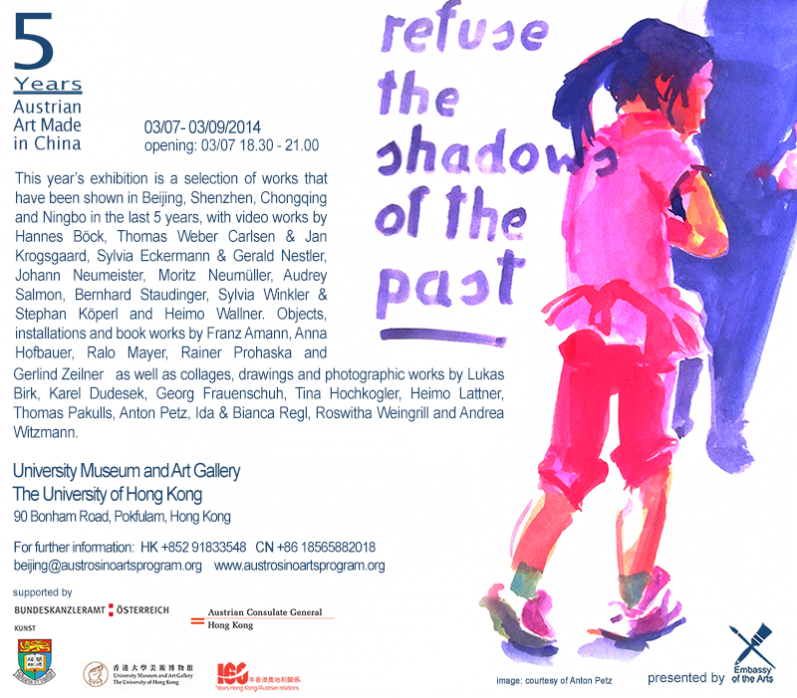 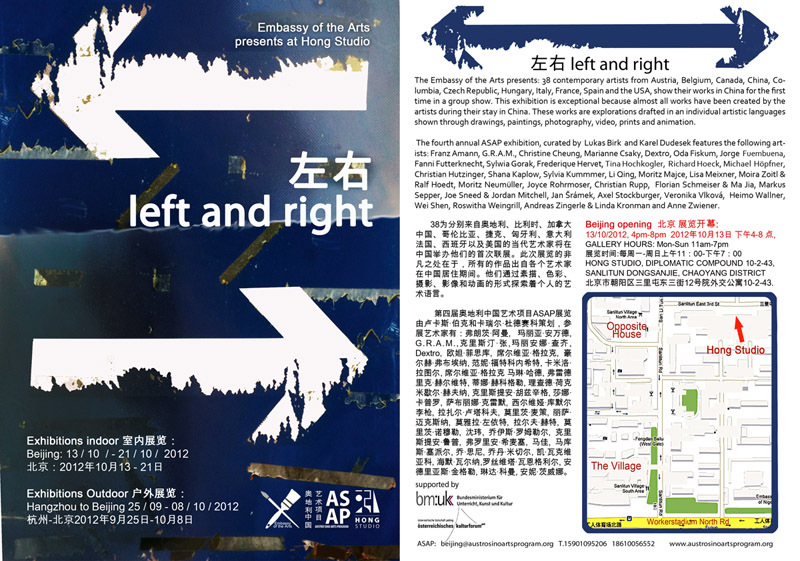 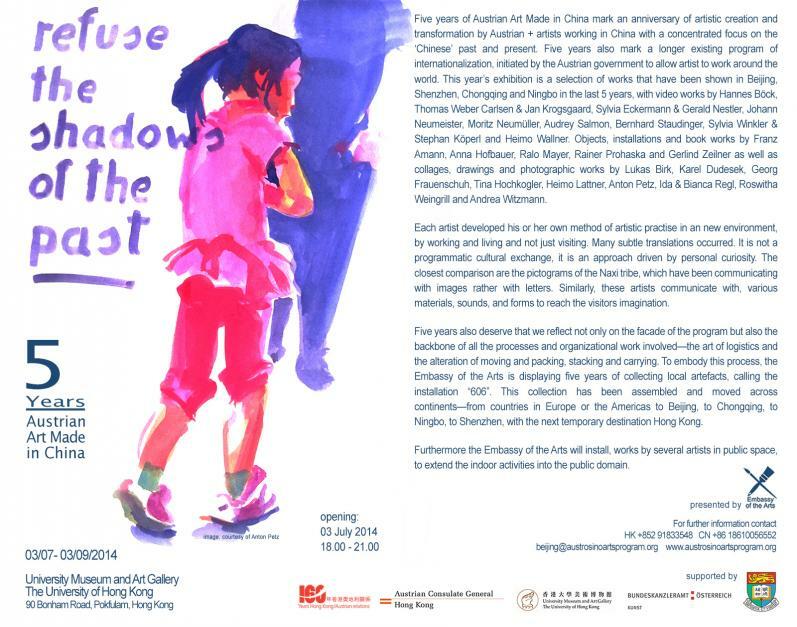 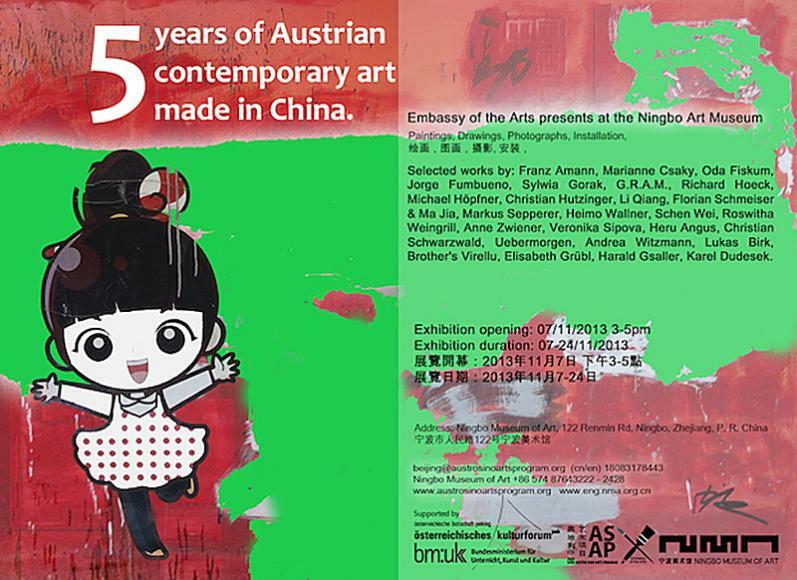 The Austro Sino Arts Program is celebrating its 5th anniversary of artistic activities in 2013 and will in cooperation with the Embassy of the Arts curate a public art tour through China with follow up exhibitions. 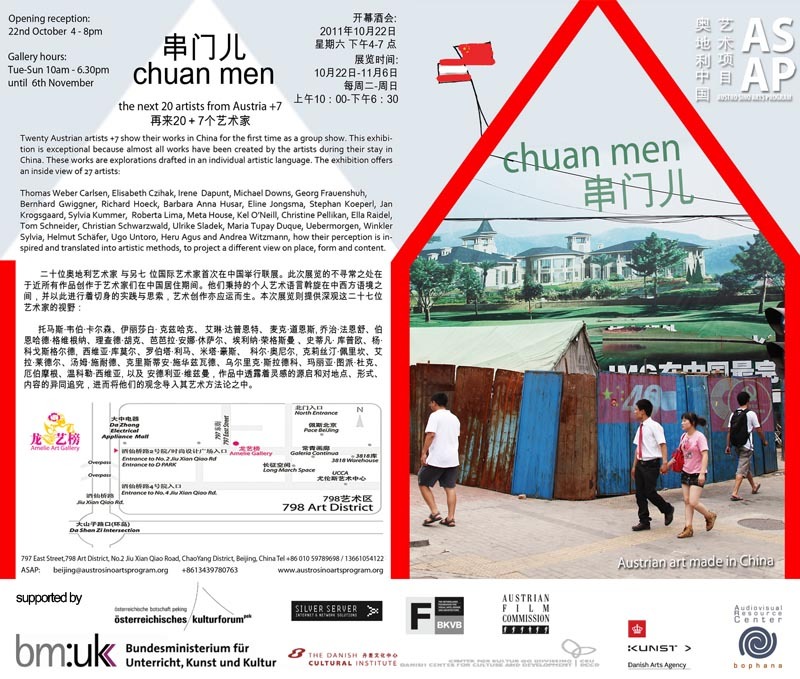 "chuan men" - "Visit your Friend’s House"